Does Cubism 3 SDK work with Unity 5.6.2f1? I imported the Cubism 3 SDK into Unity and got several errors. The first error is: "Assets/Live2D/Cubism/Components/Framework/Json/CubismModel3Json.cs(81,34): error CS1594: Delegate `Live2D.Cubism.Framework.Json.CubismModel3Json.LoadAssetAtPathHandler' has some invalid arguments"
I'm guessing it shouldn't have an error right away, but maybe I imported it wrong or am missing something? Once you import SDK into Unity, you need to reboot Unity. If the same error happens even after reboot, could you please let us know again? Unfortunately, I restarted Unity, but the error is still there. Now our engineer are trying to identify the cause of the issue. It would be much appreciated you could give us a few days. No problem! I don't know if it makes a difference, but I just downloaded the unity package, and dragged and dropped it into Unity's Assets folder (instead of through the toolbar's Import New Asset or anything else). Could you please tell us the version of Unity and Cubism? I'm using Unity 5.6.2f1. I'm not sure how to check which version of Cubism I have, but the name is Cubism30SdkUnity-2.unitypackage. I downloaded the latest version at the time, which is Cubism 3 I believe. Thank you for the information. I'd like to know which version of Cubism 3 editor you use just in case. You can check the version on Cubism 3 editor itself. 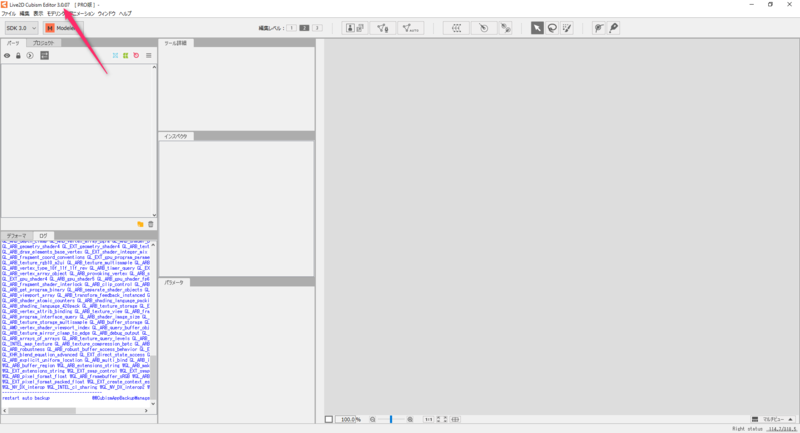 I have Cubism Editor 3.0.06 FREE version. Cubism 3.0.07 was released, therefore I'd like you try it to see the same issue is happening with Cubism 3.0.07. If the same issue happens, we'd like to see your model file.